Each year in Boston and across the United States, many workers are injured at work. While some fatal accidents make the local or even national news, far more go unnoticed by media. It’s only occasionally that some on-the-job accidents involve unique circumstances that capture the public’s attention. According to a news report from KETV 7, a zookeeper injury was one of those cases. A zoo employee in Omaha was reportedly seriously injured after being bitten by a lizard. The female zookeeper was performing routine care on a Komodo dragon when it bit her on the hand. After the worker was bit on the hand, first responders were called to zoo and transported the zookeeper to a local hospital. While this might not seem like it would cause a severe on-the-job injury, the problem has to do with fact the animal is venomous and typically has serious bacteria on the its teeth and in its mouth which can cause serious infections. Doctors first cleaned and closed the wound with stitches and then put her on a course of antibiotics and anti-venom. Due to the lizard’s venom and amount of type of bacteria and the potentially deadly infection it could cause she was initially listed in critical condition and admitted to the hospital to undergo additional to control and prevent infection. The particular Komodo dragon was relatively young and only weighed around 10 pounds and was four feet in length. While this was the first time a serious lizard bite had occurred at this particular zoo, due to the obvious dangers involved with caring for poisonous reptiles, zoo employers routinely train for this exact situation and are taught how to immediately care for a bite victim and what do before first responders arrive. 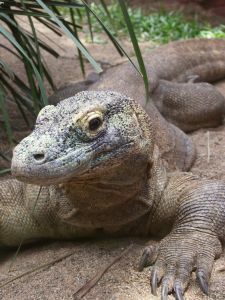 Zookeepers interviewed for the story while Komodo dragons tend to have a reputation as violent and dangerous animal, and will actually kill deer and in the wild, they are generally friendly toward their caretakers. This incident was out of the ordinary. It should be noted many researchers differ on whether the lizard’s venom is analogous to the venom in a poisons snake or if it is used for a different biological function during the animals daily life. Regardless of this ongoing debate in the scientific community, the hospital was not taking any chances and treated the injury the same as a venous snake bite injury. As our Boston workplace accident attorneys can explain, it does not matter if an on-the-job injury or illness was truly an accident or if it was the employer’s fault or even the employee’s fault. There is no need to prove liability in order to apply for workers’ compensation benefits. It is only necessary to prove the victim was an employee at the time of the accident and that the accident was work-related. Work related can mean any accident occurred during the course of an employees work hours or general work activities. Workers’ compensation benefits are designed to compensate an injured worker for medical bills, future medical expenses, and lost wages. There are also provisions to compensate an injured employee for permanent scarring on his or her hands face or neck.